Welcome home to 408 Jones in Grand Ledge, MI. 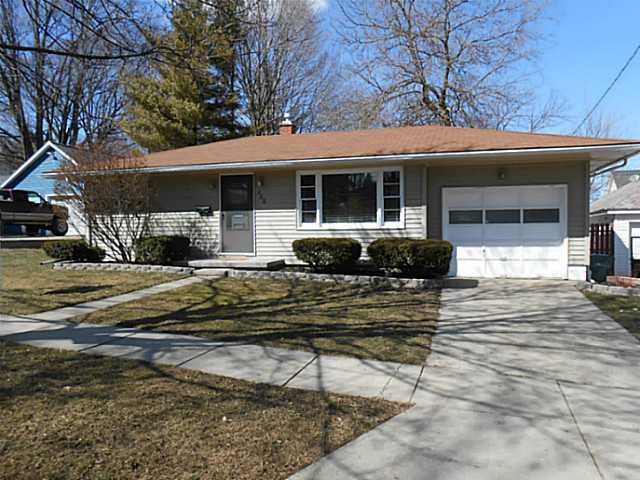 Cute updated ranch home on a great sized fenced in lot on a quiet street in the heart of Grand Ledge is now for sale. Located close to shopping, parks and the Grand River. Several mature trees in the backyard create a very private setting. Nice open floor plan is great for entertaining. Living room has large window for natural light and lots of built-ins for storage. Hardwood floors throughout are in excellent condition. Updated kitchen has a new sink, flooring, and hardware. All appliances stay. Full basement is ready to be finished and would make for a great family room. Home has been freshly painted and is move in ready. Click here for more info. Posted on April 2, 2013, in Grand Ledge Featured Listings, Grand Ledge Listings, What's New?. Bookmark the permalink. Leave a comment.